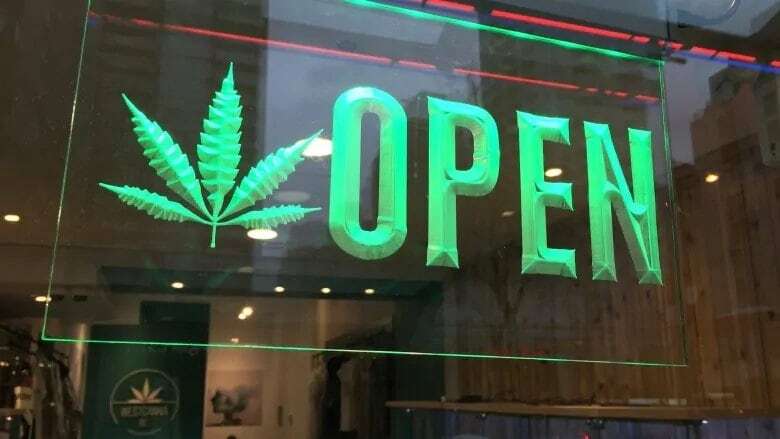 A dozen Ontario cannabis retailers are being financially penalized for failing to open their stores at the beginning of this month. The Alcohol and Gaming Commission, which held a lottery to determine who could apply for store licences, had previously announced a system of escalating penalties for the province's 25 pot shops if they weren't able to start serving customers by April 1. Stores that missed the deadline would see the commission draw down $12,500 on a $50,000 letter of credit, and would risk losing the entire amount if they still weren't up and running by the end of the month. Only 10 of the province's pot shops were ready for business on last week's launch date. The AGCO says it's drawing down credit from 12 retailers that aren't open yet, while ruling two others had their openings delayed for reasons beyond their control. The province's 25th retail store, chosen from a wait list after an initial lottery winner was disqualified, isn't expected to start operations until April 28.
commission said in a statement. "The AGCO clearly stated that only those who were committed and in a realistic position to meet that timeline should participate in the lottery ... This is not a fine, it was a condition of participating." When pot first became legal across Canada in October, Ontario opted to only allow initial sales through a government-run online retailer known as the Ontario Cannabis Store. In December, citing national supply issues, the government said it was issuing licences for just 25 stores that it planned to have open April 1. The lottery to determine the 25 entities that could apply to open physical stores took place earlier this year. Lottery winners then had to turn in their application along with a $6,000 non-refundable fee and the $50,000 letter of credit. The AGCO said stores that aren't open by April 15 will see another $12,500 draw down on their letter of credit. The remaining $25,000 would be drawn down if stores are still not open by April 30. In the week leading up to launch day, the commission said many applicants were at different stages of the approvals process. Opposition critics have accused the Progressive Conservative government of botching the retail store launch by not giving lottery winners enough time to open their stores. But senior ministers and Premier Doug Ford have defended the system, saying the lottery approach ensured fairness, and urged patience with the rollout of retail locations. Pot store licences have been divided regionally, with five going to eastern Ontario, seven to the west, two in the north, six in the Greater Toronto Area and five in Toronto itself.